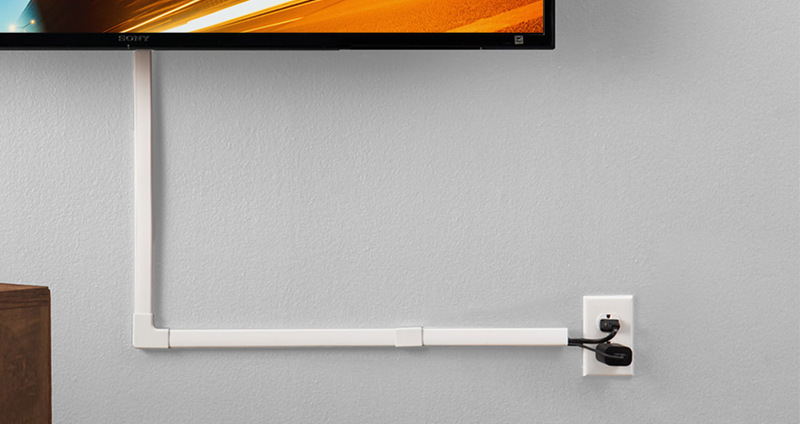 Route your cables wherever they need to go in under 30 minutes. Just cut them to length, stick them to the wall, and used the connectors to create a cordless setup. 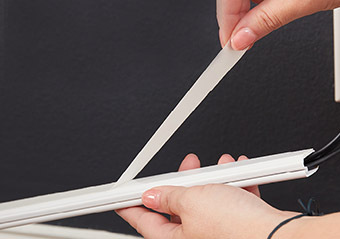 These American-made cable covers install easily and in less than 10 minutes thanks to heavy-duty, long-lasting adhesive. No drill necessary. Have messy wires? Hide unsightly home theater and speaker wires, TV and/or office cords for major cable management optimization. Included elbow connectors allow creative cable routing: Left, right, around corners, up onto the ceiling or down onto the floor. Each kit contains three 48" channels. We'll do the math for you: That’s up 12' of cable cord organizing concealment! One size fits all: Cord covers can be easily cut to whatever size is right for your setup. Remember when you were a kid and stickers were the best thing ever? At the dentist, at the grocery store – stickers, stickers errywhere! Good thing you got all that practice. This cable management system installs via heavy-duty, long-lasting adhesive. Put that screwdriver away. You won’t need it here, sticker sticking expert. High five! Tangled. Messy. Ugly. It doesn’t have to be this way. You’ve dropped serious dolla-dolla bills on your setup. Now you’re just going to taint it with cable chaos? No! Don’t be that guy (or gal). We’re here to help. All 12’ of included cord covers are wide enough to conceal up to four wires, meaning serious setup step-up. Gotta’ go from one wall all the way to another with your cables? We got you. Organizing inches and inches (or even, feet and feet) of electronic cords may seem overwhelming – especially if you have a lot of ground to cover. 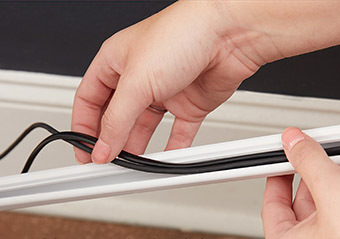 Lucky for you, these cord hiders cover up to 12’ of cables, whether that’s in a straight line, around a corner, up a wall or along a baseboard. Included, cuttable raceway tunnels and elbow connectors are ready for the twists and turns to get your wires wherever they need to go. 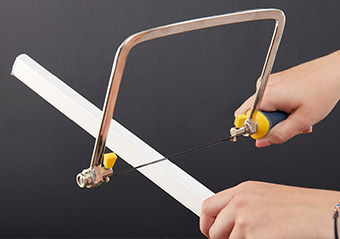 Cable Pass-Through Size: 1" x 1/2"
Click the button below to add the On-Wall Cable Raceway Kit to your wish list.